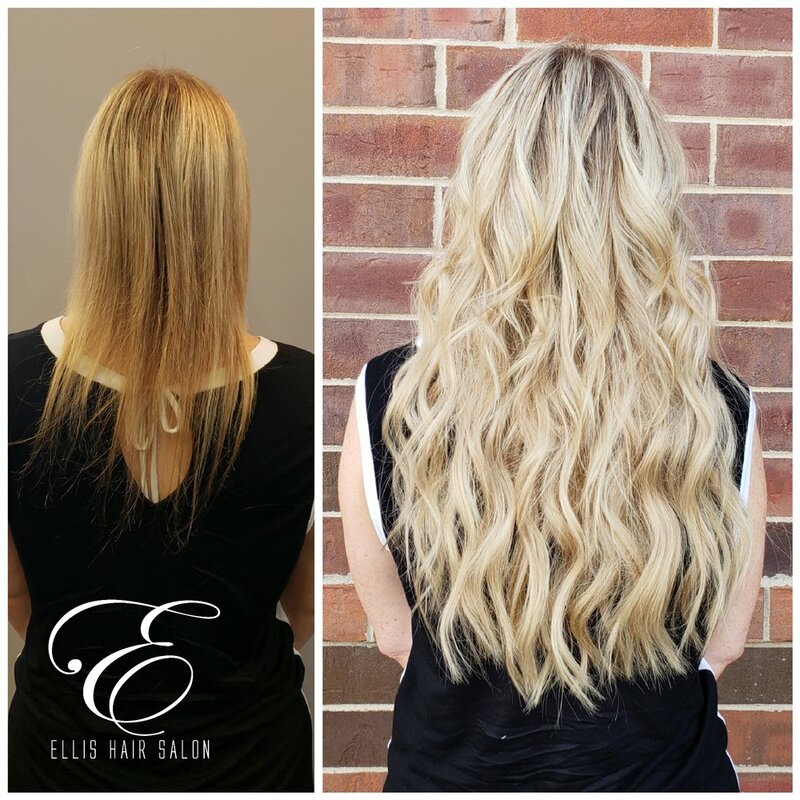 At Ellis Hair Salon we pride ourselves in providing the best hair salon services in Roselle, IL. We are highly trained and Level-3 certified in NBR Natural Beaded Rows hair extensions. We specialize in NBR extensions and hair color. Our goal is to provide our clients the best hair salon experience with over a decade of experience in working with all types of hair. We use All-Nutrient Certifiably Organic Hair Color. As it colors, it reconstructs the hair from the inside out adding strength and moisture for healthy looking hair. Want this amazing look for youself? Keep reading to see how!!!! FINALLY get the natural looking "Victoria Secret Hair" you have always dreamed of without damaging your hair! Have the most natural, lightweight, comfortable hair you have ever had in your life. In fact, it looks and feels so natural that no one will believe you have extensions until you actually show them. Natural Beaded Rows hair extension methodology is 100% unique. Crafted from years of experience and diligent research to create the absolute best hair extension method on the market. Natural Beaded Rows is a hair extension method created by Danielle K. White of DKW Styling in Laguna Beach, CA. It is known primarily for its clean, flat, and seamless application using a foundation of beads and extension string, followed by sewing custom colored hand tied wefts of high quality Bohyme Luxe human hair. IS NBR DAMAGING TO MY NATURAL HAIR? Natural Beaded Rows is known for having minimal contact points to your natural hair, so the risk is minimized. We don’t use any glues, adhesives, tape, or chemicals. And the removal process is a breeze and takes about 5 minutes or less when you’re ready for adjustments. WHAT KIND OF HAIR IS USED? Natural Beaded Rows uses the highest quality 100% Remi human, hand tied hair by Bohyme Luxe. Hand tied hair is thin and lightweight to create the natural look with color. The hair will last 4-6 months with the proper recommended care with move adjustments in between those months. AM I A CANDIDATE FOR NBR? Ideally, it’s best if your hair is shoulder length with the top layer of your hair being at least to your cheek bone. To see if you’re a candidate, fill out my NEW CLIENT APPLICATION by clicking or the link below. There is a spot where you can upload pictures of your hair so that we can make sure you are a good fit for NBR! HOW IS IT ATTACHED TO MY HAIR? Each NBR track is created with a solid foundation of beads and string. 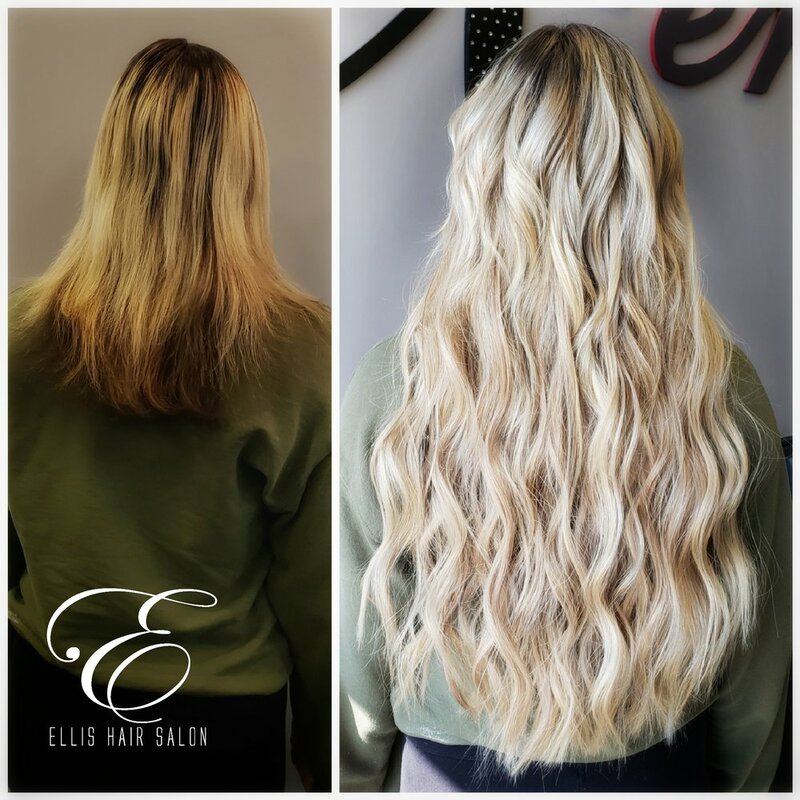 From there, each row is customized and created by stitching on 4-6 individual hand tied hair wefts to create the perfect custom blend for each client. In total, most full extension sets have only around 20-25 beads attached to your natural hair. Natural Beaded Rows is the perfect solution for seamless, lightweight extensions with the least amount of damage compared to traditional extension methods. *Light weight application with the least amount of contact points. *The color is completely customized to match your own hair so that they can hide better and be virtually undetectable. 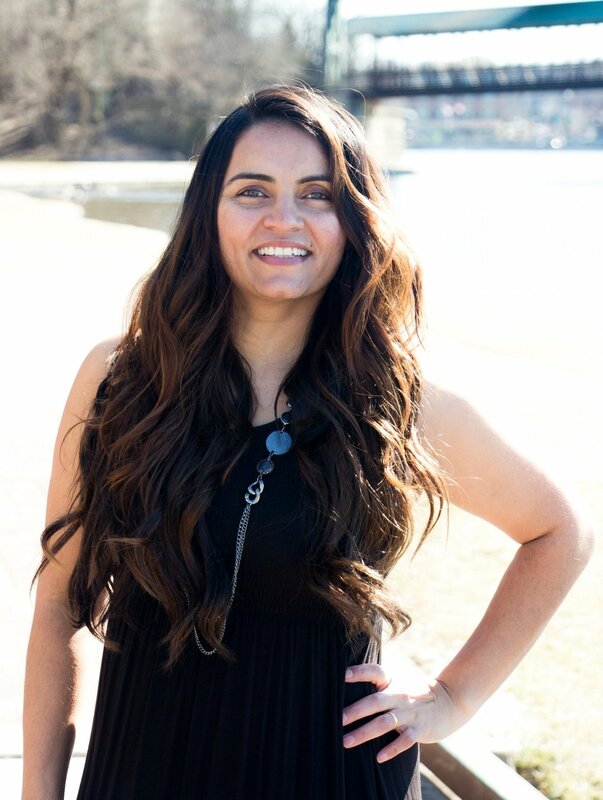 ...Click the button below to get started working with Manisha Chavda, who is one of the few Certified Natural Beaded Rows™ Stylists that have been trained and certified by Danielle K. White! Manisha loves customizing her client's hair. She has been working with hair for 14+ years. It is her life passion to change her client's hair that gives them that extra wow factor, that extra confidence to walk into a room and turn heads. Manisha has been doing hair since 2005 in the Western suburbs of Chicago catering to women who want color/extensions done on their hair. Thank you! I will contact you shortly and we can get you on the journey to amazing hair! I look forward to talking with you!